Suresh Narayanan, chairman and managing director, Nestlé India, shares tips on crisis management with Arnab Dutta and Alokananda Chakraborty. The Trident hotel in Gurgaon's Udoyg Vihar, where we are supposed to meet Suresh Narayanan, chairman and managing director of Nestlé India, is an hour's drive from central Delhi. We land up half an hour before the meeting. As we wait for our guest with fruit juice and cappuccino to keep us occupied, Narayanan walks in wearing a broad grin, 15 minutes ahead of schedule. We have a table booked at the Sapphire, but the restaurant doesn't open until 12.30 pm. Perhaps recognising Narayanan, the staff at the restaurant welcome us inside. As we browse the menu card, Narayanan tells us why he chose the restaurant: "Someone from my office chose the restaurant, but they are supposed to serve very good Indian food." But since he has a long day ahead, Narayanan says he would stick to a light lunch. A vegetarian, he orders methi aloo (fenugreek leaves and potatoes), masoor dal tadka (lentil gravy), plain curd, phulka (handmade rotis) and fresh lime and water. We order a Goan shrimp curry and appams and decide to wash it down with lime soda. Narayanan, who has served the Swiss food and beverages company for 17 years, moved back to its Indian unit last September. 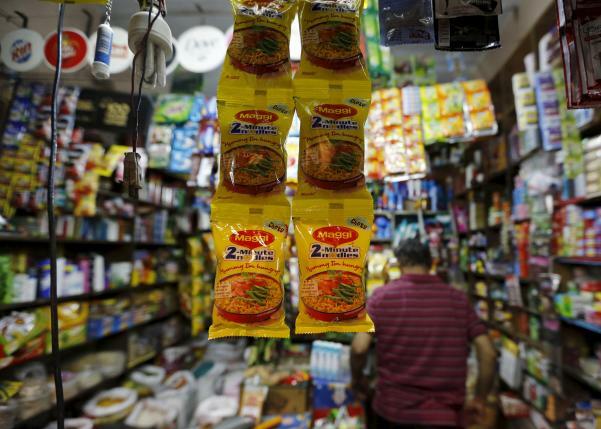 As Nestlé India found itself in the midst of its biggest crisis involving its largest brand in India, Maggi noodles, Narayanan was sent to the country with a simple brief: Put the company back on track. India was not new for him -- he had worked in the market for nearly two decades before being assigned to Nestlé's operations in Egypt and Philippines -- but he knew his comeback was not going to be a cakewalk. "I was coming back bang in the middle of a crisis. My first reaction was, why me? To be honest, I didn't even know the extent of the problem or the full dimension of the damage at that time. But it was also a testimony to the trust the company had in me," he says. 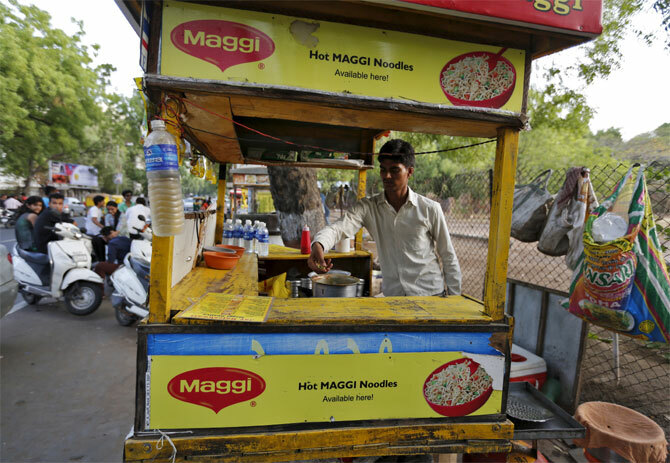 The crisis, which resulted in hundreds of crores of rupees in losses for the company after the sale of Maggi noodles was banned in May 2015, had devastated the firm and drained the confidence of its employees. "My biggest concern was that people related to the company in one way or the other might lose confidence. Can we come out of the crisis? I love Nestlé and what I am today is because of a lot of people in the company. So first thing I worked on was restoring the confidence of our employees and other stake holders. They did not deserve to go through all that. Most of them are like family in a company they might have served for a lifetime," he says. What made him so confident that he could do pull that off? His confidence stemmed from three things. 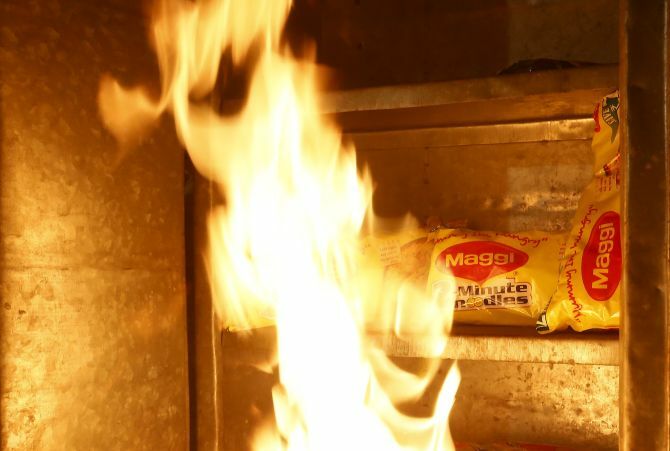 "The strict quality control measures that Nestlé follows assured me that there could have been no lapse on its part," he says. Having worked with the Indian subsidiary in an earlier stint meant he could grasp the reality on the ground quickly. "People in Nestlé feel proud of the company. Many of them have spent their entire working life here. These are the things that work for you when the external situation is not in your favour," he says. The food arrives and it looks delicious. Narayanan, however, is focused on the point he is making. 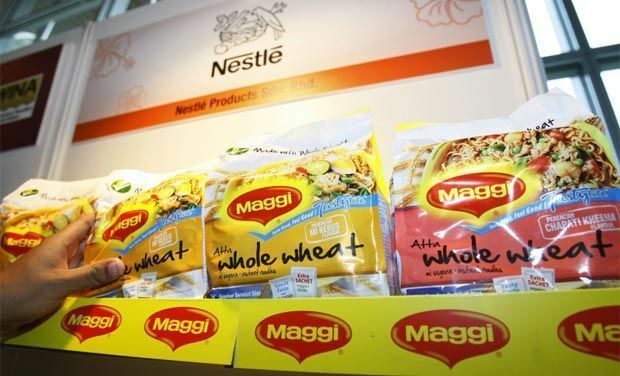 Now, a year after the relaunch of Maggi noodles, the brand has regained its dominant position in the market and Nestlé has launched a number of new variants to speed up growth. The firm has also worked hard to cut losses and reverse its falling profits, apart from successfully bringing a major chunk of its customers back to the brand. "We had to rebuild it brick by brick," he says. That said, Narayanan feels there is a lot of ground Nestlé needs to cover. Some of the credit for his success, says Narayanan, must go to his parents and his school. Born in Bengaluru, the days he spent in Rishi Valley School were perhaps his best. His father was a civil engineer, and sending him to an institution like that meant half of his monthly salary went into his son's schooling. After completing school, Narayanan went on to study economics at the Delhi School of Economics with an eye to joining the Indian Administrative Service. His career path took an unexpected turn when Hindustan Lever (now Hindustan Unilever) visited the campus to hire fresh talent. Someone in the family said an HLL interview would be a good experience to equip him for future interviews. After several rounds of rigorous interviews in Mumbai and Delhi, Narayanan landed himself a job at the FMCG major. He went back to that same uncle: Should he take up the job? His uncle had a simple way of looking at things. What is the guarantee he would clear IAS exams? What was the salary HLL was offering? Narayanan worked for HLL for the next 15 years and travelled across the country. "Nestlé and HLL have very different work cultures, but they don't say HLL is the place that grooms future leaders for nothing," he says. Narayanan joined Colgate-Palmolive in 1998 amid a fierce battle for supremacy between Colgate-Palmolive's Colgate toothpaste and HLL's Pepsodent. Colgate's disadvantage was that they had only one brand and few variants and HLL really went after Colgate all guns blazing. But "since I have been largely with the food part of Levers, Colgate never really excited me; so I left the company after a year to join Nestlé," he says. For a brief second, he turns his attention to the lunch. "Nice and light," says the father of one appreciatively. It is obvious he hasn't regretted the move to Nestlé for a moment. With the Maggi crisis behind him, Narayanan is looking to impart a dose of aggression into whatever the company chooses to do next. "We are now among a handful of companies with 24x7 consumer engagement programmes running. In fact, the degree of engagement with the immediate environment and connection with consumers have also improved," he adds. Over the next few years, Narayanan will focus on bringing in new products from Nestlé's global portfolio. The company, under him, has launched a record number of products in 2016. 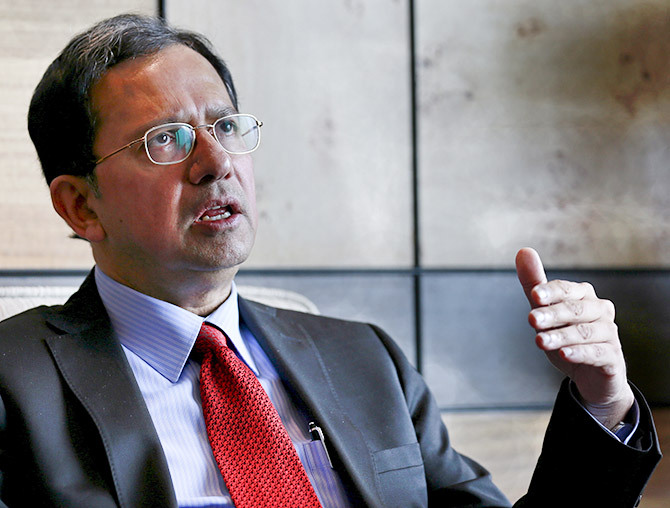 Narayanan feels that Nestlé is yet to capitalise on the opportunities available in the market in the categories that the company is already present. "I think we need to do more in the chocolate category, the scale of innovation and the level of premuimisation has not been as good as it should have been," he says. But why hasn't it been more aggressive in that category; it seems to have given bigger rival Mondelez a virtual walkover. As we come to the end of the lunch, the restaurant serves us an interesting digestive -- a concoction of fennel and, from the taste of it, ginger. "We are not interested in running after volume by indulging in a price war; you can't fight a long war with that. I would rather give the consumer something with added value," he says. So new products that might command a premium over competition would be the way ahead for Nestlé. "Undifferentiated products will be hard to sustain in a competitive market. Rather we will increase our portfolio in the nutrition category where we already enjoy a leadership position," Narayanan says. Is he game for some dessert? A resounding no confirms what we have suspected: The India boss of the world's largest food company is not exactly a foodie.